We decided to drive out of the national park at Kleins gate and head off to Lake Natron, the lake itself has no exit so is very alkaline and the whole region is extremely remote. The first part of the route was through lush tropical forest to the village of Wasso, the “road” was full of people making their way to the village market most of them dressed in their full tribal gear. 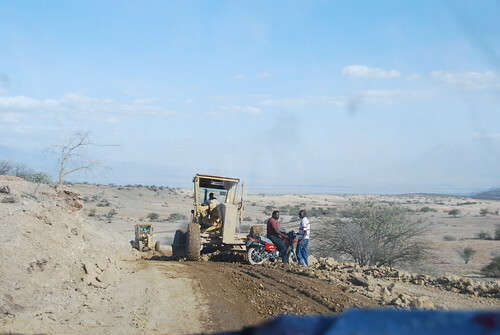 After Wasso the road got steadily worse and at one stage we had to wait whist they made it! 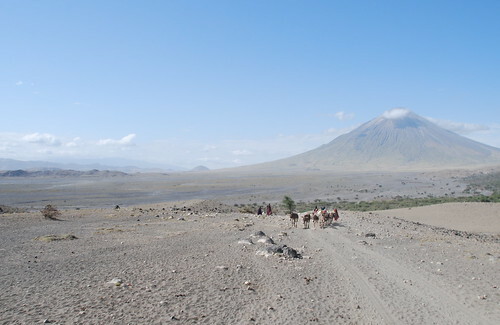 We spent a night in a lovely camp site below the perfect cone of Ol Doinyo Lengai which last erupted in 2007. 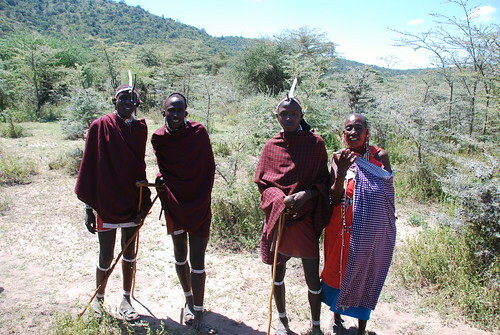 The waterfall campsite which we were aiming for had long closed but the new one “World View” was spectacular and run by a local Masai family in full tribal attire. From Lake Natron we were stung for extortionate fees for “local taxes” the Lonely Planet says the area used to be full of bandits robbing travelers, well they are still there but without their Kalashnikovs and now disguised as tax collectors….we soon cut off road and through the desert following our GPS ( note to self, fuel consumption in low ratio in thick sand is very poor!) certainly the most extreme driving of the whole trip and I am truly amazed at what the van can do in “Tonka Toy” mode with all three diffs locked…. 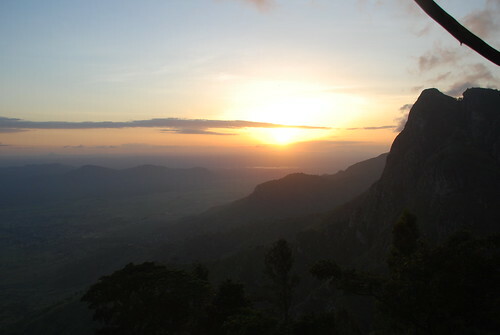 Once out of the national park area we took the road south through the Usambara mountains to Lushoto a beautiful hill top town full of German colonial influence the old farmsteads were straight out of Bavaria and the whole experience surreal. We stayed at Irente view campsite, Bruce and Madeleine in the marble floored modern hotel and us in our van. 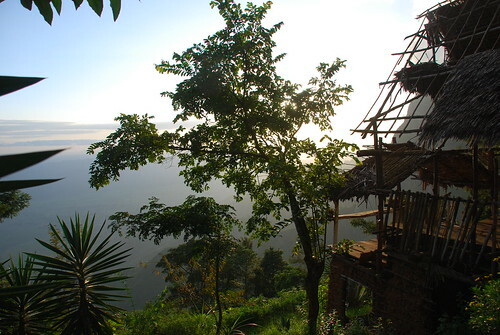 We ate marinated goat, prepared to a secret french recipe by Madelaine and enjoyed the stunning views down the valley from the lookout which had been built for the anticipated rush of tourists by Louis and his Rastafarian brother Emanuel.